In this tutorial, I will explain how to implement Send SMS Interface of Parlay X 2.1 APIs using C#. 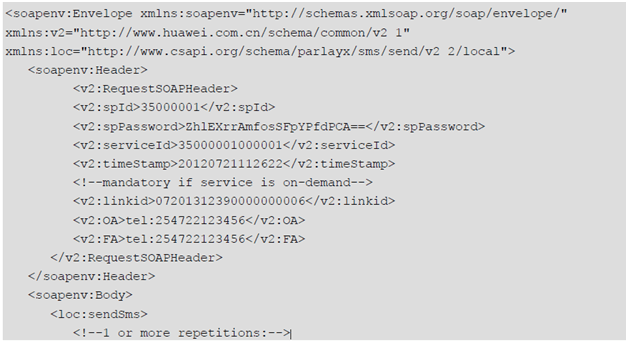 Before proceeding, I would like to tell you that Parlay X is a set of standard low-level SOAP based Web API’s used by many telecom service providers. The implementation of interfaces might differ from provider to provider. Before jumping onto the code, ask you telecom provider to share the WSDL’s and Endpoints of the services and their interfaces respectively. This interface defines operations to send various types of SMS messages and to subsequently poll for delivery status. There are generally four properties defined in it. addresses specifies the destination address of the short message. senderName is optional and specifies the sender name. The value is a string that is displayed on the user’s terminal as the originator of the message. charging specifies the charging information. receiptRequest is optional and is specified when the application requires receiving notifications of the SMS delivery status. It is a SimpleReference structure that indicates the application endpoint and interface used for notification of delivery receipt, and a correlator that uniquely identifies the sending request. Below is the sample SOAP request which needs to be generated and sent over. Only header portion has to be created manually, and rest of it would be generated automatically. Step 2: Creating a custom SOAP header and passing it to every single SOAP request. I hope this example helps in implementing other interfaces of Parlay X APIs too. 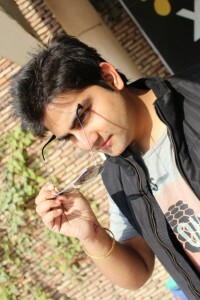 I am working on ParlayX task. 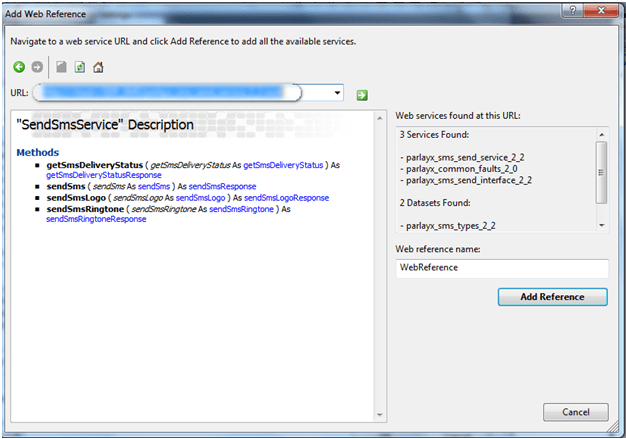 My provider does not give me the WSDL file or WSDL url, just give me SOAP object structure and url of the service. So, it is difficult to create the proxy manually. Could you send me the ParlayClient project. Can you share your source code in this article? Hi, I know its pretty late to reply. But I have now attached the source code link at the end of this article as well.